I’m sad to say not much actual writing has been going on in my favorite #amwriting place, which is my little office upstairs in the front corner of the house overlooking the court. I’ve hung out on social media a little, watched the pygmy nuthatch and the woodpecker jog up and down the tree out front, and thought a lot about planting lettuce, spinach, gladiolus bulbs, and a couple of rose bushes. On most days I’m serenaded for an hour or so by the youngish neighbor practicing drums in his garage. It reminds me of when my own boys were young and happily played for our neighbors who never complained. Oh, Procrastination, why dost thou ride on my shoulder like an anti-muse? Two really good things result from procrastination (at least in my experience): 1) I get out of the house more often to meet friends for coffee, breakfast, or lunch, and 2) I read a lot more books. Currently I’m reading one of the most clever sci fi books I’ve ever read: R. Gary Raham’s A Once-Dead Genius in the Kennel of Master Morticue Ambergrand: From deathbed to pethood and beyond in Earth’s far distant future. One constructive project (no, not #amwriting) I’m working on is posting to my blog more often and bringing in more guest authors. 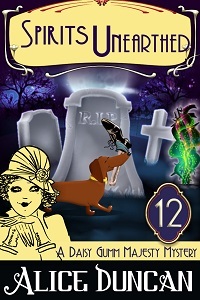 Thursday I’m featuring author and editor Alice Duncan with the story about the ups and downs of her Daisy Gumm Majesty series. 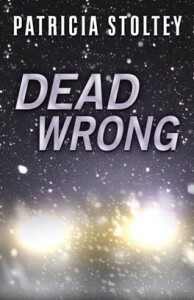 Alice writes under a lot of pseudonyms as well as her own name, and she’s prolific (sigh!). Teresa R. Funke was my guest on April 17th with her post on How to Write Outside Your Experience. As a publisher and author or World War II books, including the Home-Front Heroes series of novels for middle-grade readers, Teresa knows about creating stories that she did not experience first-hand. She often, however, interviews real people who did live the tales, which explains why they ring true. 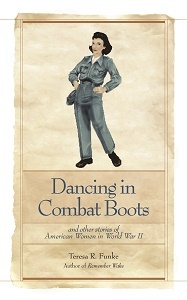 My favorite adult book by Teresa is called Dancing in Combat Boots. It’s a collection of real-life stories from women who lived the times. If you’re interested in being a guest on this blog, just let me know in the comments or send me your email address by messaging me on Facebook. I’m interested in family-friendly posts about writing, books, and the writing life. 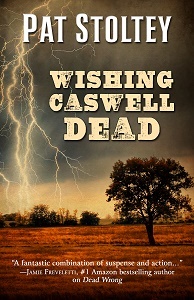 Wishing Caswell Dead is a finalist in the general fiction category for the Colorado Book Awards. Along with finalists from the poetry and literary fiction categories, general fiction finalists get to read 5-7 minutes at the BookBar in Denver. Winners will be announced on June 2nd. That’s all, folks. Time to get ready for my critique group which will meet at my house tonight. I must go rearrange clutter, stabilize the tower of TBR books on my coffee table so it doesn’t fall and crush someone, and make sure my laptop is charged. Please drop by on Thursday and meet editor and author Alice Duncan.